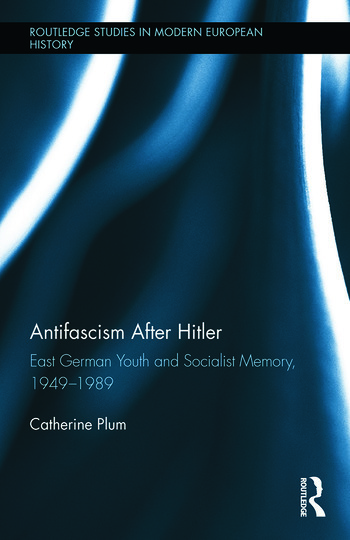 Antifascism After Hitler investigates the antifascist stories, memory sites and youth reception that were critical to the success of political education in East German schools and extracurricular activities. As the German Democratic Republic (GDR) promoted national identity and socialist consciousness, two of the most potent historical narratives to permeate youth education became tales of communist resistors who fought against fascism and the heroic deeds of the Red Army in World War II. These stories and iconic images illustrate the message that was presented to school-age children and adolescents in stages as they advanced through school and participated in the official communist youth organizations and other activities. This text delivers the first comprehensive study of youth antifascism in the GDR, extending scholarship beyond the level of the state to consider the everyday contributions of local institutions and youth mentors responsible for conveying stories and commemorative practices to generations born during WWII and after the defeat of fascism. While the government sought to use educators and former resistance fighters as ideological shock troops, it could not completely dictate how these stories would be told, with memory intermediaries altering at times the narrative and message. Using a variety of primary sources including oral history interviews, the author also assesses how students viewed antifascism, with reactions ranging from strong identification to indifference and dissent. Antifascist education and commemoration were never simply state-prescribed and were not as "participation-less" as some scholars and contemporary observers claim, even as educators fought a losing battle to maintain enthusiasm. Catherine Plum is Associate Professor of History at Western New England University.